In order to address the transforming research needs required across a variety of disciplines, the Argonne Leadership Computing Facility (ALCF), a U.S. Department of Energy Office of Science User Facility, held its second Simulation, Data, and Learning (SDL) Workshop. From October 2 to October 4, 2018, the ALCF hosted more than 50 prospective and current users from laboratories and universities across the country. 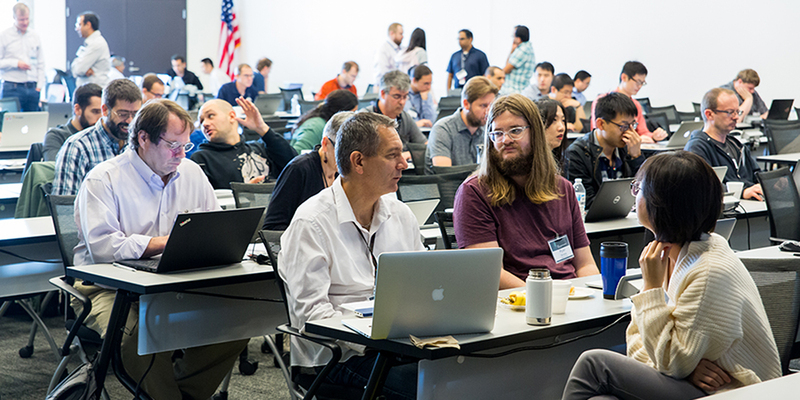 The training event enabled attendees to work side-by-side with ALCF staff members and industry experts from Intel, Cray, ARM, and Paratools to hone their abilities using tools, systems, and frameworks that can accelerate scientific computing on the threshold of the exascale era. “The workshop benefits the participants by improving their code and expanding their knowledge of the ALCF’s resources, and it benefits the ALCF by growing and better equipping our user community,” said Ray Loy, the ALCF’s lead for training, debuggers, and math libraries. 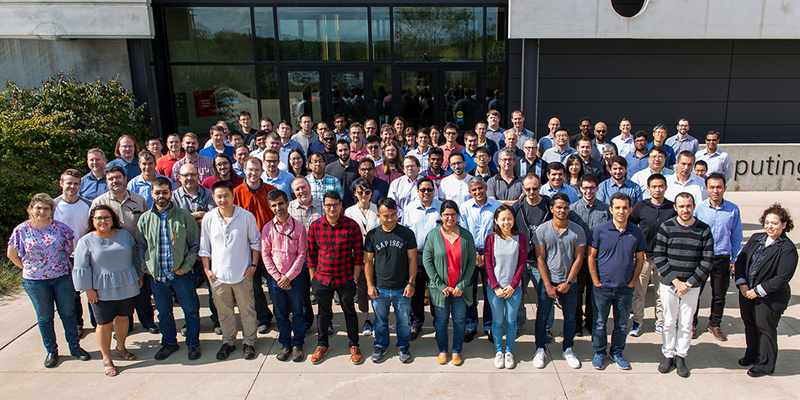 Researchers attended the workshop to further develop their efforts to solve challenging problems in science and engineering by utilizing techniques that involve simulation, data science, and machine learning. 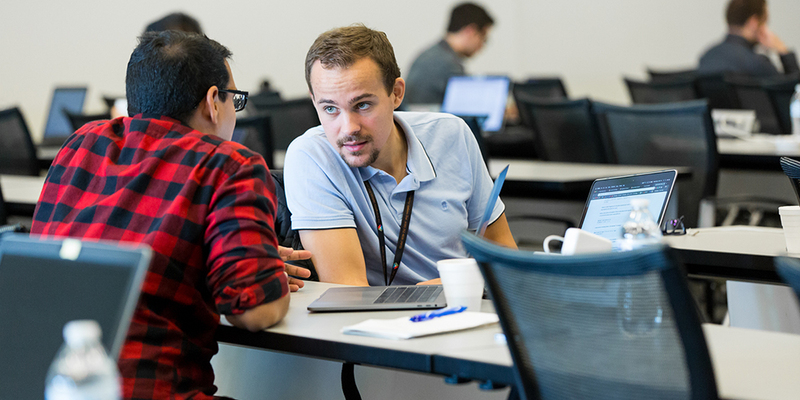 The workshop offered talks on topics ranging from deep learning, debugging, and code scaling, to workflow execution, container use, and data visualization. During hands-on training sessions, attendees worked directly with ALCF staff members and industry experts to address application-specific issues. The workshop also provided attendees with information on the different allocation awards available to researchers, which, in addition to the ALCC program, include the Innovative and Novel Computational Impact on Theory and Experiment (INCITE) program and the ALCF Data Science Program (ADSP). Khalid Bakhshaliyev, a computer science PhD student from the University of Nevada, Reno, prepared for a Director’s Discretionary (DD) allocation award. His group had previously applied for an ADSP award, hoping to map the connections between every IP address on the planet from 2006 onward, and—while unsuccessful—was invited to reapply because of the compelling nature and scale of the problem. “The problem isn’t merely a data problem—it’s a big data problem,” said Bakhshaliyev, referring to the extreme scope of the project, which demands novel approaches. The ALCF’s Theta supercomputer is equipped with architectural features and software tools that support data-intensive workloads, making it particularly well suited for problems like Bakhshaliyev’s. 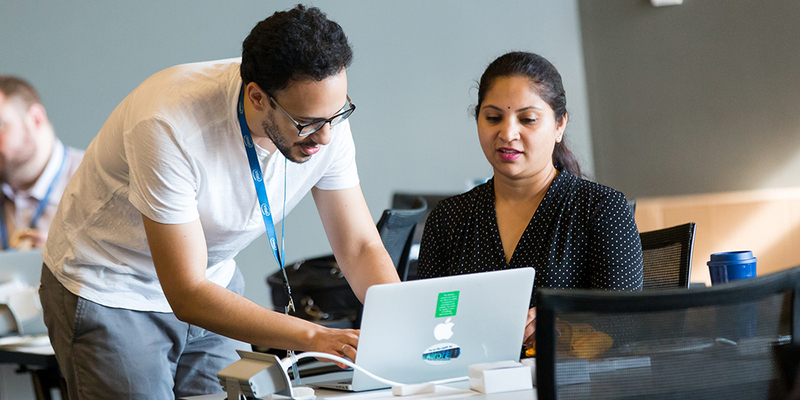 At the workshop, he worked closely with ALCF postdoctoral appointee Ganesh Sivaraman to learn how his team could take advantage of available resources and prepare the large-scale data analytics processor Apache Giraph to advance their work at the ALCF. Typically an annual event, the next SDL workshop will occur in October 2019. 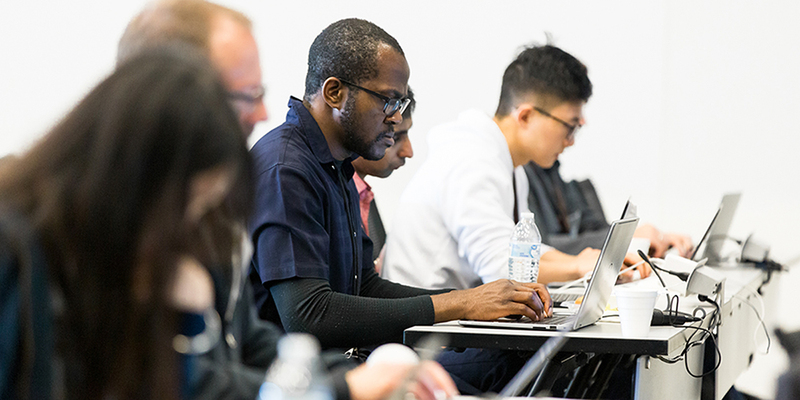 In October, the ALCF hosted more than 50 researchers for a hands-on workshop designed to hone their abilities using tools, systems, and frameworks that can accelerate scientific computing.